Fabulous Ethiopian food with very good vegan options. For a cultural event try the Traditional Room. 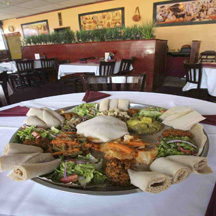 Food is served Ethiopian style and is eaten with Injera (traditional Ethiopian flat bread). Excellent! Large portions. We had enough for a generous lunch the next afternoon. 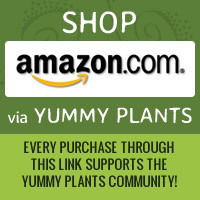 Let us know what you think about this awesome vegan friendly restaurant: Queen of Sheba in Lousiville, Kentucky.